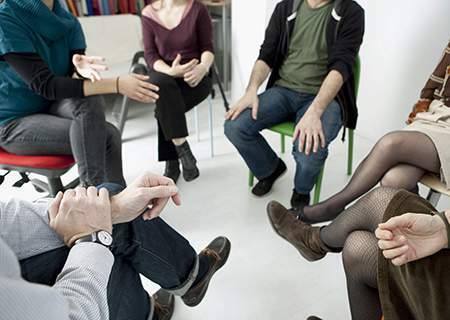 Group therapy is a powerful therapeutic tool that is often undervalued and overlooked. In my experience, some of the most revolutionary gains made in therapy happen in a group setting. Group provides and avenue for real – time relating with other people to be explored in a safe environment. Group work is intense. Group members challenge themselves and others by practicing being assertive, making themselves vulnerable, accessing anger, sharing loving feelings, working through conflicts, setting boundaries and learning how to let others in. What’s more, group members often receive the encouragement and support needed to result in substantial change such as taking the steps to end an unhealthy relationship, start businesses, loose weight and get sober. In many ways I view group work as the quickest route to change. My clients will often start in individual and then move to group therapy in order to be more challenged and to further deepen relationships.